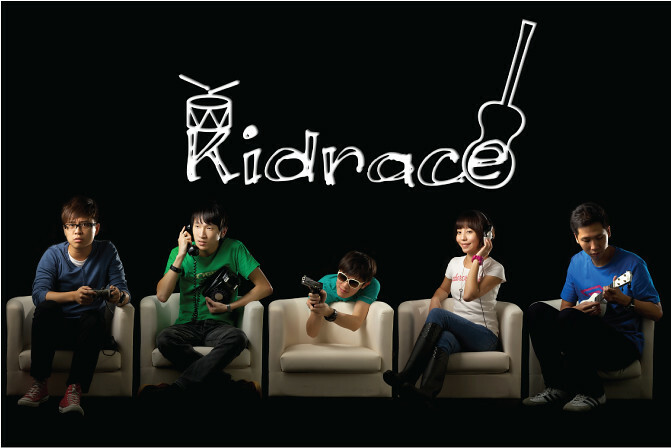 I recently play drum for a pop band called “Kidrace”, we play pop music, hope you will like it..
每個人心裡面都住著一個小孩，而音樂像鑰匙，可以打開人與人之間的心門。 他們的個性可以很乖，也可以很怪，但他們都貪玩，希望發掘未知的可能。 風格、類型… 有時根本不重要嘛~ 只是一定要真心地面對一切。 對了，KIDRACE就是這個樣子! I set the camera on a tripod and shot every member individually and retouched them into one in photoshop . 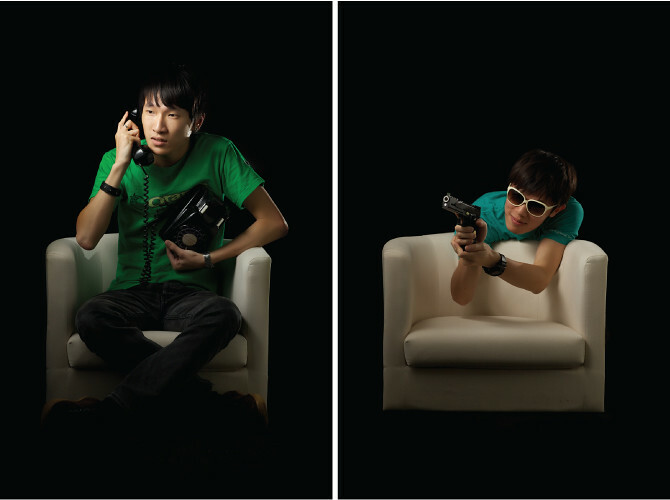 2 flash used, one at camera left with 60″ shoot through umbrella, another one at camera right for rim light ..